COPS found five rifles and a gun in Angelo squatter camp near Boksburg, Ekurhuleni, on Friday. 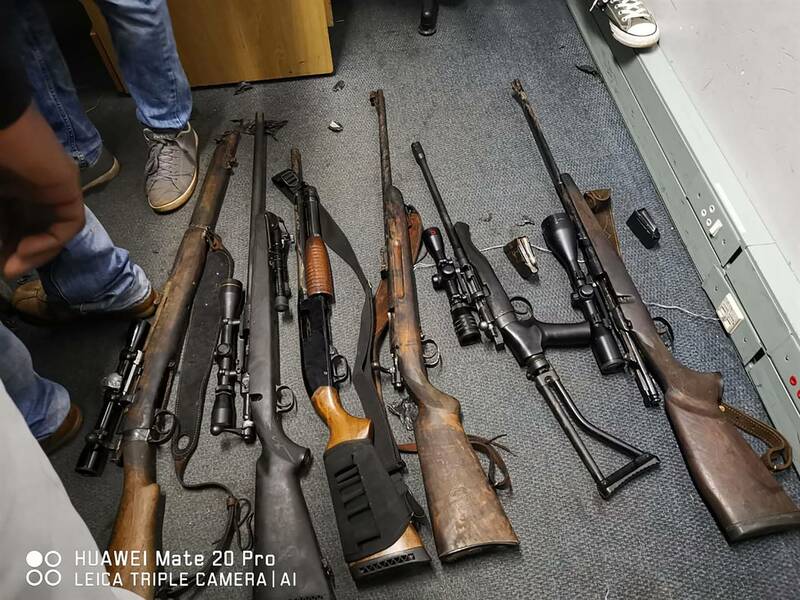 Police spokeswoman Brigadier Mathapelo Peters told Daily Sun: “No suspects have been arrested as the firearms were found abandoned in a vehicle. Peters told the People’s Paper that the cops also found live ammunition. She said police will not rest in their attempt to fight crime. Provincial commissioner Lieutenant-General Elias Mawela praised the cops for recovering the firearms. “The recovery of firearms means a reduction in murders, hijackings, house and business robberies, as well as other serious and violent crimes. “This was a job well done by members and the community,” Mawela said. Meanwhile, two suspects were arrested for stealing a solar panel off the billboard in the Booysens area. Communities are encouraged to report any criminal activity on 08600 10111 or to visit their nearest police station.